Florida Lotto is Florida's state lottery. This is currently the second iteration for this lottery. In the initial lottery, players chose 6 numbers from a pool of 49 numbers. In this iteration, players choose 6 numbers from a pool of 53 numbers. Our results currently have both iterations combined. 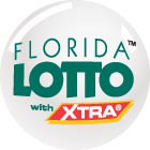 The first draw for Florida Lotto took play on May 7, 1988, and the draws were weekly on Saturday. With the transition to the new format on October 27, 1999, draws were introduced on Wednesdays as well.